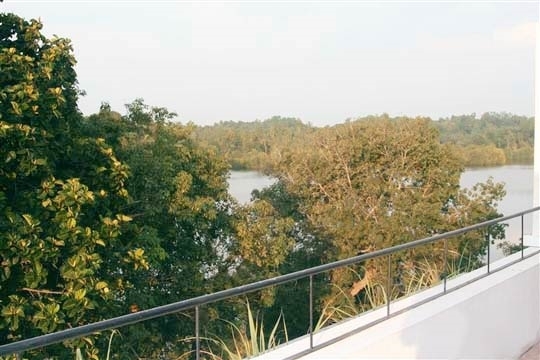 As you sit comfortably on the veranda overlooking the placid lake or enjoy a long, lazy lunch on the sundrenched dining terrace followed by a dip in your own private swimming pool, you will appreciate how this villa has been created to make its guests feel very much at home. Its design, merging the indoors with the outdoors, was inspired by the work of the late Sri Lankan master architect Geoffrey Bawa whose work typically celebrates the island’s stunning beauty and tropical climate. Local materials used in the construction including timber, concrete and metal have been combined in such a way to give this property a modern edge. 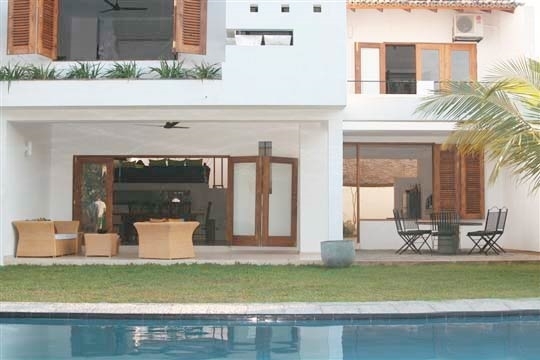 The design of the villa complements the sloping piece of land that it was built upon. The timber ceiling of the dining room soars metres above, making it feel spacious but not overwhelming. A staircase at the middle of the building zigzags up four floors and connects a cosy lounge, three bedrooms and a roof terrace from where the best views of the lake can be appreciated. The high ceiling, open plan design and airy nature of the build allows the air to circulate and ensures that the property remains breezy and cool. The layout of the villa works well for families (with older kids) and groups, and is also intimate enough for a couple to enjoy. 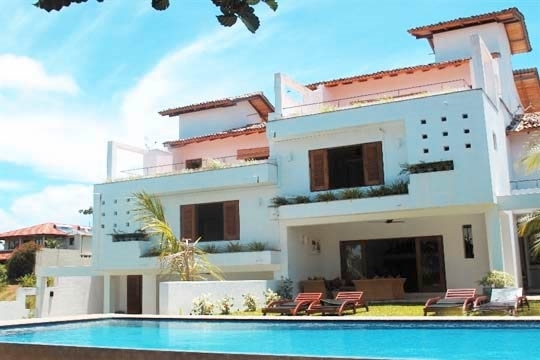 The suitability of this villa as a holiday home is enhanced not only by its proximity to the famous beach resort of Hikkaduwa (3km) but also by its large private pool, its big kitchen and selection of modern conveniences including a wall-mounted plasma screen TV, DVD players, a CD player and an iPod dock. 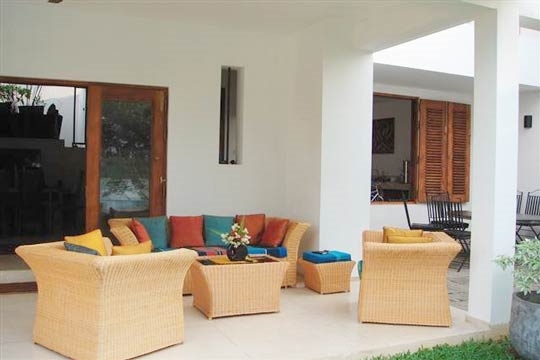 Although the property is primarily designed for self-catering, a chef can be arranged to prepare simple Sri Lankan cuisine for an extra daily charge whilst the friendly housekeeper discreetly cleans up after you. The huge Bread Fruit tree offers a good focus for bird watching. 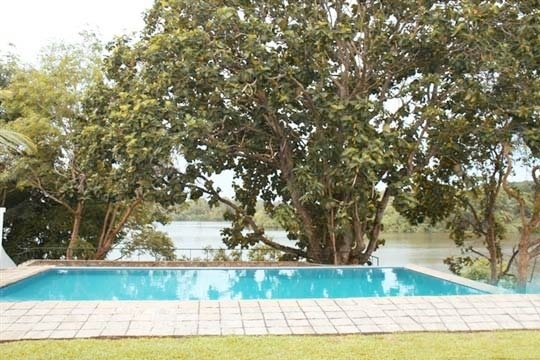 The White House is three kilometres from Hikkaduwa on the fringe of Naskadeniya village overlooking placid Bird Lake. 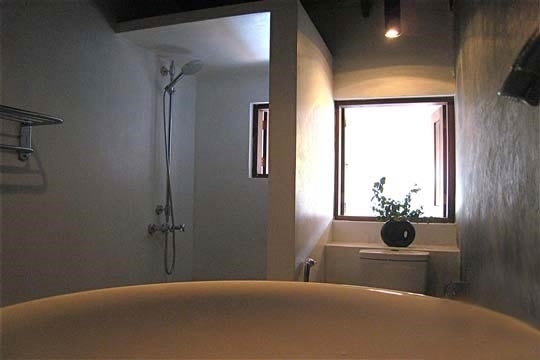 Set in tranquil natural surroundings, the villa is neighboured by a scattering of other private homes and guesthouses as well as a small boutique hotel with restaurant. 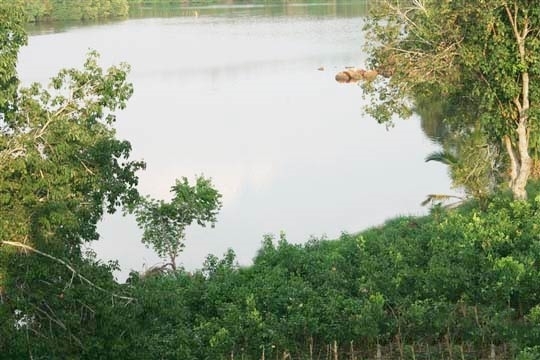 As its name suggests, Bird Lake is a good area for birdwatchers; flashes of colour and song can be seen and heard from the verdant greenery that sprouts from the lake’s meandering boundary. 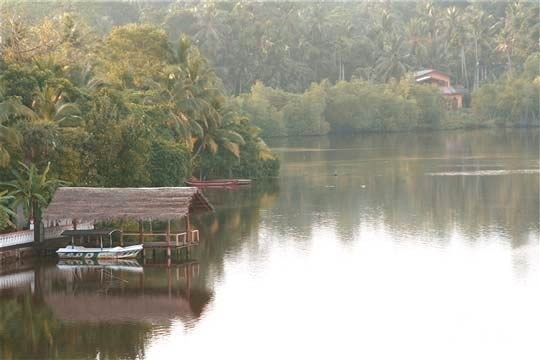 Water sports enthusiasts can enjoy the placid surface of the lake via the facilities of the Kallabongo Resort, which is located right next door to the villa. The lively beach resort of Hikkaduwa is famous for its colourful coral, tropical fish and long stretch of golden sand fringed by a variety of rustic guesthouses, hotels, restaurants, dive centres and tourist shops. 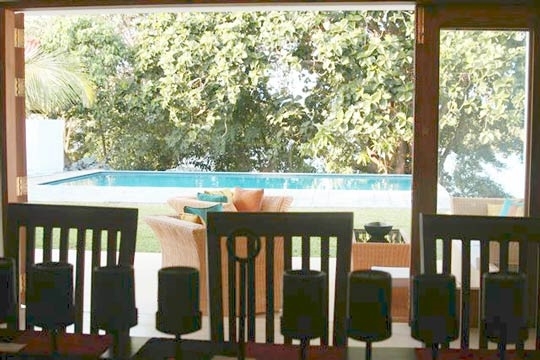 As one of the oldest beach resorts on the island and despite its popularity back in the 70’s and 80’s as a hippie hangout, Hikkaduwa has reinvented itself so that while it still retains its characteristic laid-back charm, it is now more appealing to a wider range of visitors. There’s plenty to do here both on land and in the water; visitors can explore the tropical fish and colourful coral of the marine sanctuary just offshore either by snorkeling, diving or chartering a glass-bottomed boat. Surfing is also very popular here and many experienced locals are often to be seen expertly riding the waves of the resort’s most famous surfing points or teaching inexperienced westerners their home-grown techniques. With a wide stretch of beach, many visitors to the resort just choose a spot to eat, drink or just relax on loungers under the tropical sun overlooking the ocean. 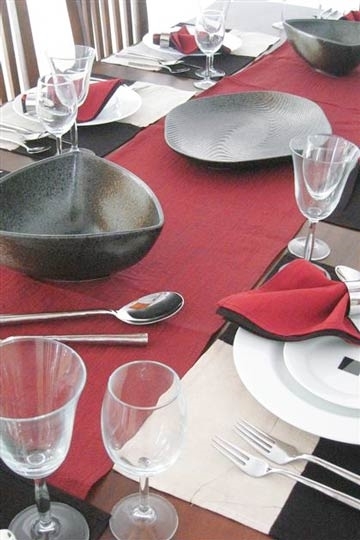 A range of restaurants offer plenty of opportunities for dining on anything from the simplest local dishes to more complex international cuisine; seafood is especially good here and one of the resort’s specialties. Hikkaduwa has a relatively lively nightlife; during the high season (November to April), regular discos are held at Vibrations (Fridays) and Mambo’s (Saturdays) whilst many of the restaurants’ closing times are dependent only on when the last customer leaves. The town is linked to Colombo and Galle on the Coast Line railway route and has plenty of banks with ATMs and money changing facilities as well as supermarkets, fresh produce stalls, travel agencies and pharmacies. 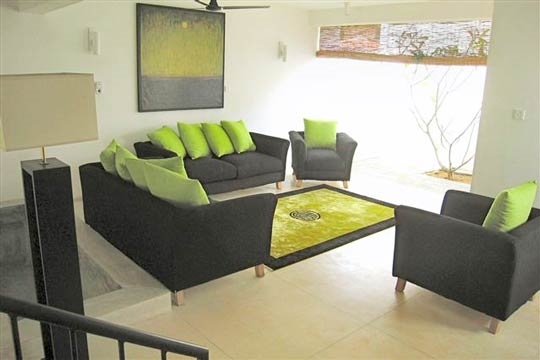 The entrance of the villa, to the right of a small gated garden, opens directly into an open-plan lime and black colour-themed lounge attached to an open-air courtyard, which is furnished with cushioned-topped sofas and a wall-mounted plasma screen satellite TV and DVD player. 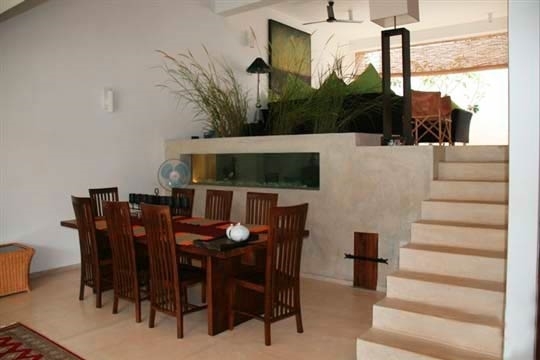 Steps lead down from the lounge to the dining room home to a dining table for eight and a fish tank built into the back wall. Wide folding doors open from here onto a furnished veranda and grassy lawn beyond. To the left of the dining room is a small washroom tucked under the stairs and a spacious kitchen with cement-topped work surfaces, a large oven and a courtyard where herbs and spices grow. To the front, the kitchen opens onto an alfresco dining terrace furnished with a round concrete dining table encircled by black metal chairs. The dining terrace connects to the veranda via an archway and both spaces share views of pool and lake beyond. Back in the lounge, a zigzag stairway leads up over several levels, eventually reaching a furnished roof terrace with excellent panoramic lake views. 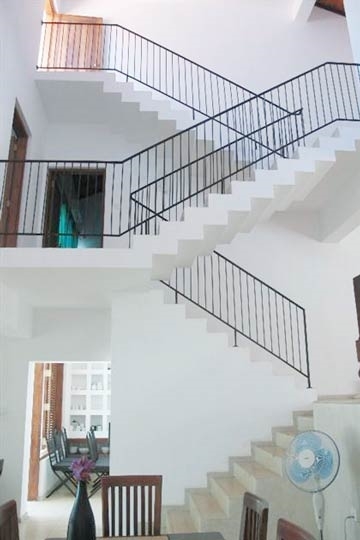 On the first level above the lounge are two bedrooms. The first (above the veranda) overlooks the pool and lake from wide folding louvered windows, and has a four-poster double bed, built-in wardrobes and an ensuite bathroom with built-in cement tub and shower. The second bedroom (above the kitchen) is furnished with a double bed, built-in wardrobes and an ensuite bathroom with shower. 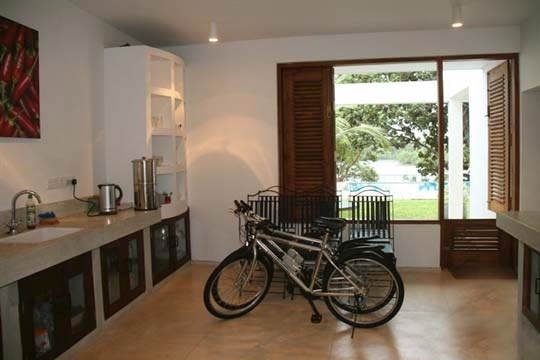 This double bedroom also shares in the lake views from a private balcony. Up another level (above the lounge) is a third bedroom, which has a view towards the back of the property, as well as an interior window looking down over the dining room. 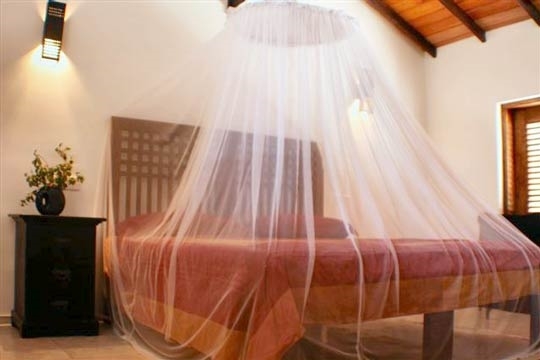 This bedroom features twin beds, a suspended mosquito net, built-in wardrobes and an ensuite bathroom with shower. Facilitated with a small TV/DVD player, this room is ideal for children. 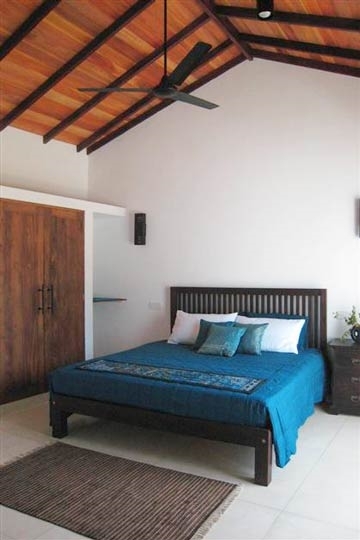 All bedrooms are fitted with air conditioning and ceiling fans. 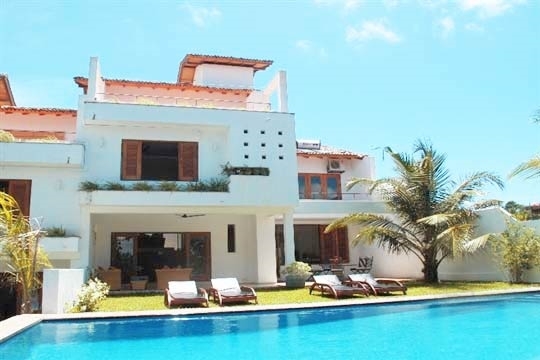 3 bedroom villa located in Hikkaduwa, West Coast. Ideal for Beach in ten, Kid friendly, Fair share for groups, Party pads, Room with a view. 7 out of 10 based on 4 user reviews.